My car likely will never be at judging levels, yesterday my head gasket leaked so I will be doing some surgery. Where exactly would I find the partial VIN on this 351C? Also is it on the trans too? I feel that I should know if this car is "numbers matching" or not. So I did a search (eliminated the C6 reference to Corvette) and saw the MEGA SITE !! Yes, the 429 site has been referenced on here many times. You can find the VIN locations by searching our forum, it has also been discussed many times. 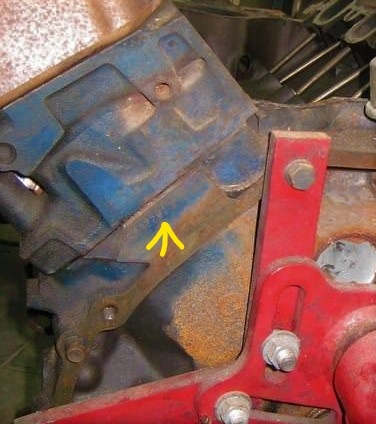 VIN stamp on the 351C block is the same place as the 429 - driver's side rear face of the block just below the head. Everything else is common. Rich, you will find a partial Vin on the left rear of your 351C block right below where the cylinder head mates to the block. Some are stamped so lightly they are hard to read when in the vehicle. 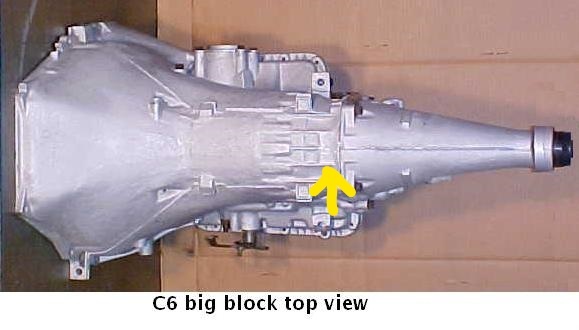 On the C6 there s a flat spot at the area where the tail shaft bolts to the transmission case. They are normally stamped a little better than on the engine block.